A group of Spanish developers working under the company name Ecofasa, headed by chief executive officer and inventor Francisco Angulo, has developed a biochemical process to turn urban solid waste into a fatty acid biodiesel feedstock. It took more than 10 years working on the idea of producing biodiesel from domestic waste using a biological method, Angulo told Biodiesel Magazine. My first patent dates back to 2005. It was first published in 2007 in Soto de la Vega, Spain, thanks to the council and its representative Antonio Nevado. Using microbes to convert organic material into energy isnt a new concept to the renewable energy industries, and the same can be said for the anaerobic digestion of organic waste by microbes, which turns waste into biogas consisting mostly of methane. However, using bacteria to convert urban waste to fatty acids, which can then be used as a feedstock for biodiesel production, is a new twist. 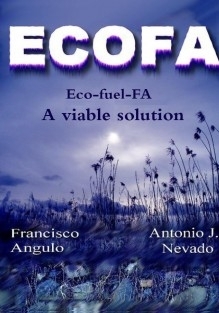 The Spanish company calls this process and the resulting fuel Ecofa.